Found 86 file extension associations related to Microsoft Word and 47 file formats developed specifically for use with Microsoft Word. 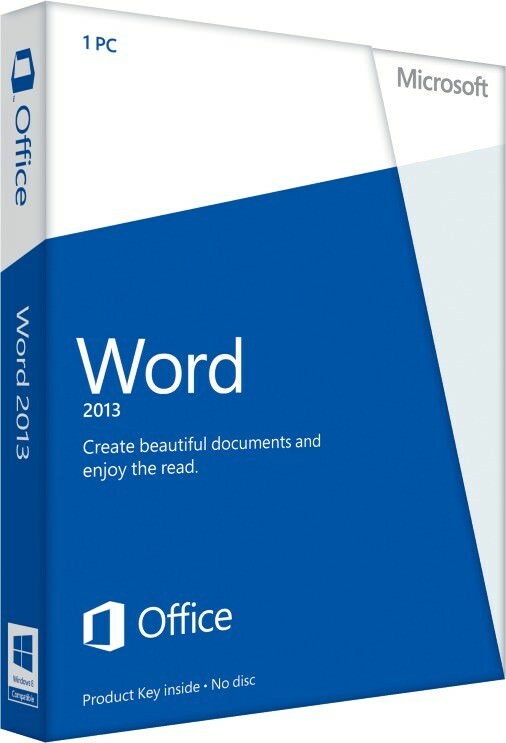 Microsoft Word is a word-processing program designed to help you create professional-quality documents. Word helps you organize and write your documents more efficiently. The first version of Windows Word was released in 1989 and it was called Word for Windows 1.0. Every three years Microsoft has released a new version - Word for Windows, Word 95/97/98, Word 2000/2002, Office Word 2003/2007, Word 2010/2013/2016. Microsoft Word offers the best of all worlds: enhanced features to create professional-quality documents, easier ways to work together with people, and almost-anywhere access to your files. Designed to give you the finest document-formatting tools, Word 2013 also helps you easily organize and write your documents more efficiently, and stay within reach so you can capture your best ideas whenever and wherever they occur. Do more with your docs: Pop in an online video, open a PDF and edit the content, align pictures and diagrams with minimal fuss. The new Read Mode is clean and distraction-free—and it works great on tablets. Teaming-up is better too, with direct connections to your online spaces and streamlined review features like Simple Markup and comments. Reopen a document and keep reading right where you left off. Word remembers where you were—even when you reopen an online document from a different computer! The cloud is like file storage in the sky. You can get to it anytime you’re online. Now it’s easy to share a document using SharePoint or SkyDrive. From there you can access and share your Word docs, Excel spreadsheets, and other Office files. You can even work together with your colleagues on the same file at the same time. With Word you can create more beautiful and engaging documents, and you can work with more media types—like online videos and pictures. You can even open PDFs. When you open Word, you’re offered a choice of great new templates to help get you started along with a list your recently viewed documents so you can get back to where you left off in no time. Open PDFs and edit the content in Word. Edit paragraphs, lists, and tables just like familiar Word documents. Take the content and make it look great. Add online videos directly to your documents that readers can watch right in Word. Add your pictures from online photo services without having to save them first to your computer. Extract pictures from Word - Exporting images from MS Word .doc and .docx files. How to convert PDF to Word - Creating Microsoft Word documents from PDF source. If you need more information please contact the developers of Microsoft Word (Microsoft Corporation), or check out their product website.